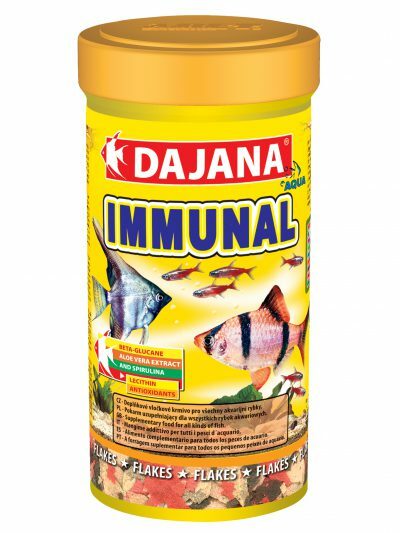 Immunal | DAJANA PET, s.r.o. 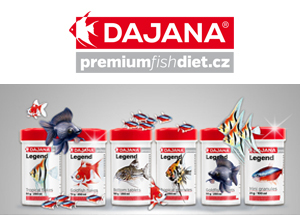 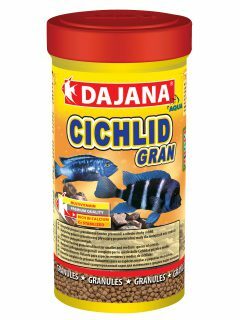 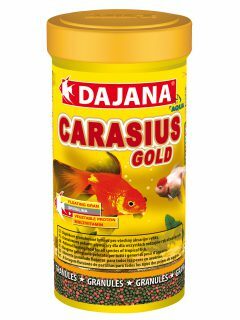 Suitable for all types of aquarium fish. 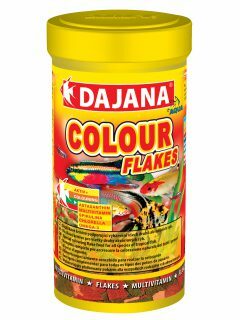 Flakes containing beta-glucane and Aloe vera extract. 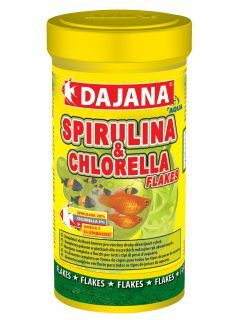 Flakes support immune system. 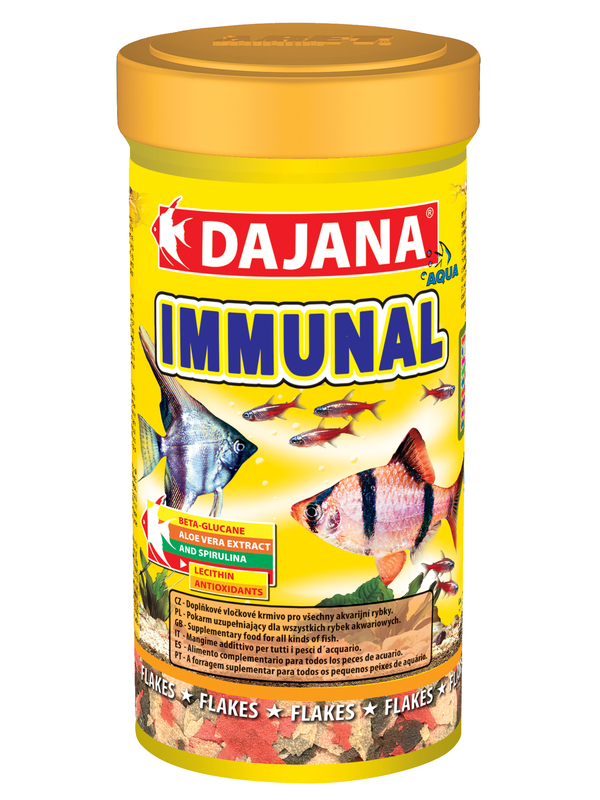 Ingredients: Vegetable protein concentrates , shells, algae, fish and fish by-products, cereal, dried yeast, spirulina, fat, lecithin, antioxidants and artificial colouring.